We’ve all been there. Somehow, we acquire a handgun, rifle or shotgun that eventually just becomes a safe queen. It could have been (as in my experience) a pistol that I thought would be just the ticket for concealed carry/hunting/steel targets/etc. Yet somehow, after owning the gun a while, I decided that maybe I acted a bit hastily and perhaps it ought to become someone else’s prized possession. This has happened with several pistols. My sons tease me and place bets about how long I’ll hold on to any new or used gun I buy. For that reason, I have to be familiar with used gun values since I do tend to sell and trade a lot. Hopefully this article will help you to be able to determine used gun values without getting too frustrated. The second reason you may want to know how much your used gun is worth concerns inheriting a gun. What about that old (fill-in-the-blank-gun) that you inherited from your Uncle Al after he passed on? You weren’t too kicked in the head at the time about assuming ownership of said firearm but it went home with you nonetheless. It could be a gun that needs some work, is obsolete and ammo is impossible to find for it, or it is something that you just have no interest in owning. Maybe someone else might be able to make better use of it. Here’s a third scenario that, granted, doesn’t happen very often (to me, at least) but is still a possibility. You enter a gun give-away on so-and-so’s website or down at the local lodge and you win. What shooter among us hasn’t entered to win a gun that we know we won’t ever shoot or keep? The hope is that, if we win it, we can sell or trade it for what we really want. Glory be – you won! Now what? You are now in possession of a technically-used gun if you try to sell or trade it, even though you’ve not shot it, and you need to know how much it’s worth. Granted, these scenarios may be a long shot, but any of them could happen. (I know two guys who actually won guns at fund-raiser dinners and didn’t keep them). The gist of it is, for some reason you have a gun you don’t want or need and so you want to get rid of it. How do you do that? First things first – how much is your used gun worth? You can’t sell it if you don’t know its value. After you have an accurate range of your gun’s values in hand then you can decide to sell it outright or trade it. Let’s take a quick look at the difference between selling and trading your gun and how that may affect the gun’s value. (I worked in retail for many years in addition to years spent as a teacher. I sold, of all things, pianos and organs for a large Midwestern retail store for several years. I learned quickly, from the behind-the-sales-desk standpoint, about how values are affected depending on whether the customer is talking trade or outright purchase). The gun market works pretty much the same way as the one I was used to, so let’s look at it in a little detail. 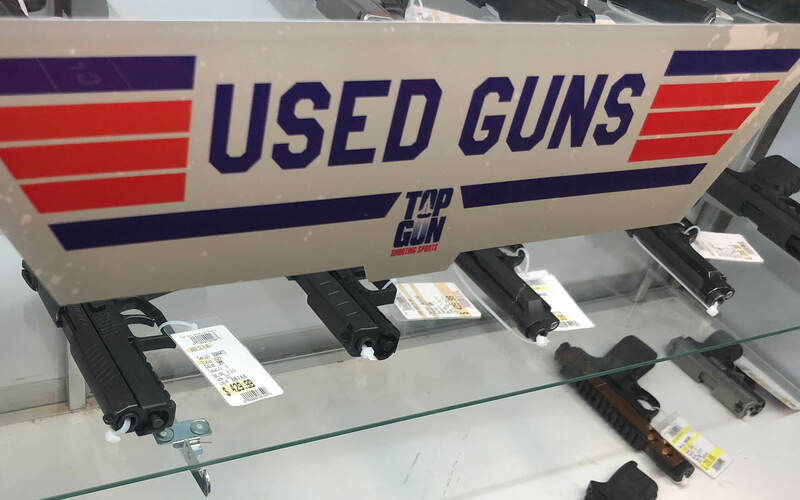 When you trade a used gun on a new one, the shop is basically putting itself in a position where they will, most generally, allow you so much off the price of the gun you’re looking at. 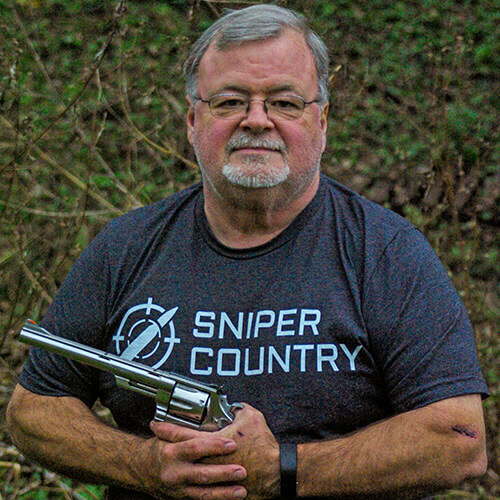 There is a wholesale value attached to your gun – the shop keeper will look it up – and then they can make an offer. If it sounds like they’re giving you a lot for your gun, they may be…you have to remember that in most cases the price on the tag is inflated to allow for wiggle room on trades or to let them discount the gun during a sale. You think you’re getting a great deal – they offered you almost what you paid for it! – but it’s not necessarily a good deal for you. That markup is built into the system. Always remember that the shop will give you a wholesale value for your gun – not retail. Wholesale is what the shop pay for guns and retail is what you and I pay. The mark-up is their profit and they don’t like to cut into that very much if at all possible. That’s how they keep their lights on. A better option may be to sell your used gun outright to a third party or even a gun shop. You definitely need to know used gun values in order to do this. You may not get as much as was offered to you on trade, but you will be getting cash-in-hand a number closer to the gun’s true value. In most cases, you are better off to sell your gun on the open market than to trade it. There are always exceptions…if a dealer has had a certain gun in his case for a long time or if it’s a discontinued gun, he may be willing to give you more for trade in order to move it. That can make it interesting…in these rare cases you may do better trading than selling. But, the vast majority of the time, selling is the better option. Many folks who sell a gun to an individual will run that sale through their local gun shop and have the buyer fill out ATF Form 4473, with the shop owner calling it in like he’d sold it. He will charge you what basically amounts to a transfer fee of around $25, just like when you buy a gun online and pick it up at his shop. It’s worth it, though…this way you know the buyer is really who he or she says they are and are cleared to buy a gun. Your bases are legally covered. Here’s a simple example. Let’s say you have a Remington 870 in its basic form with polymer stock and no frills. You want to trade for a brand-new Remington V3 Field Sport semiauto that is priced in the shop at $795 ($100 off the $895 MSRP, a good ballpark number for our example). You need to know how much your gun is worth. There are references out there that can help you find that information – we’ll cover those in a bit – but let’s say you find your gun has a used value of $295. The guy behind the counter discovers this value from his sources and offers you the full $295 off their list price of $795. For “only” $500 plus tax, you can walk out of the store with the newest model Remington autoloading shotgun out there (as of this writing). Do you pull the trigger, so to speak, or do you try to sell it on your own? The advantage of selling it is that you might get more than $295 for it. Some folks don’t like dealing with gun shops for some reason and will look for used guns online or from local individuals. (They may have been on the wrong end of a not-so-good deal at Shop A so they consider all gun shops places to avoid. It happens). Let’s say you sell it for $375 and have it transferred which costs $25 – you’re coming out a bit over $50 of what the store was giving you for it. If you’re a good shopper, you might find that new shotgun on sale at another shop or big-box store for less than $795. The point is that, generally speaking, you’re better off selling your gun on your own and then taking that money to a store or website and buying that way. 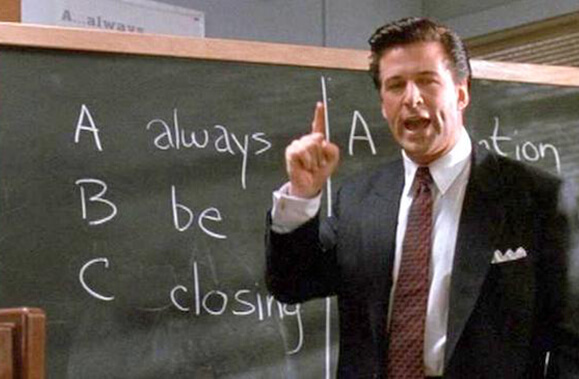 I learned a long time ago that it’s a numbers game – some salespeople can make you think you’re getting the deal of the week when in actuality it may not be. PLEASE don’t think that I am slamming gun shops – as stated, I worked retail for many years and I understand that they have to make a profit in order to keep their doors open. There are a great many local gun stores that will treat you right. Also don’t forget that your local shop is now in competition not only with the big box stores but the internet as well. It’s just that sometimes you might be able to do a little better selling your gun on your own and then go buy a new(er) one at that shop. Let’s look now at some different ways that you can find out the value of that gun you’re looking at buying from an individual or the value of the gun you’re wanting to sell. The Blue Book of Gun Values is the 800-pound gorilla of used gun values. There have been many editions of it in print over the years. If you go to the website, you are able to search for exact models of guns you’re wanting the price for. When you get to the specific gun, it will offer you several options in terms of buying a subscription to their online guide. You have the choice of a one-, two-, or three-year subscription. Gun values do change, so I believe they are hoping you will go with the three-year option to keep your bases covered longer. This blue book is the industry standard, I was told by a gun shop owner…values from the blue book tend to be accurate in most cases. At the bottom of the order box, you have an option of buying the values of just one firearm for $2.95, so if you are looking up only one or two guns, it may be money well spent. Armslist is exactly that, a listing of (fire)arms for sale. It is not an auction – the prices are listed, plus whether the owner is willing to trade or just sell. The advantage of gun sales and auction sights is that you can get an idea how much your gun is worth from several sellers/vendors and thus have a more complete picture of its value. Armslist allows you to search for your specific model and then see what other folks are selling theirs for. Guns America is not an auction site. Full asking prices are listed so you will be able to get a really good idea of the value of your gun. You type your gun’s model into the search box and then you will see several listings of similar guns that are being offered for sale. Many filters are then available, including price range, zip code/location, caliber, condition, auction or classified ad, and others. It is one of the more complete sites that allows you to zero in on a pretty specific price that you should ask for your gun. There are even search boxes that allow you to try to find either local dealers or local individuals who are selling the gun you asked about. So, not only can you find a certain gun you wish to buy on this site but you can also just check several different prices to know what to ask if you are selling one. GA offers a very comprehensive service to gun buyers and sellers. Gallery of Guns is another major player in the gun sales business. There’s a Gun Genie that allows you to narrow down a search for that one perfect gun. Weekly Specials, all Sale items, Great Gun Giveaway, New Arrivals, Distributor Exclusives…there are many great places to look for guns on this site. There’s a Product Spotlight, highlighting one gun, which changes. It’s interesting to click on the Gun Genie, fill out the info and check the necessary boxes and then have revealed to you a local store or several that has that gun and how much they are asking for it. I searched for a Charter Arms Bulldog .44 Special and found that there are seven shops in my area that are selling it for anywhere from $363 to $380. I now have the information I need in order to buy one of these guns, and conversely, if I have a used one to sell, this tells me not to ask too close to a new price for mine. Keep your price in the true “used” range. Used means just that, and the Gallery of Guns will help you keep things in perspective. Gun Broker is an auction site. You are directed, up front, to choose from the Handgun, Rifle or Shotgun categories. Once in your preferred area, you are prompted to fill in another search box or you may choose from what they call “Popular” brands/models. This is a very comprehensive site – they don’t only sell guns. Click here for a listing of all the categories they have. Prices listed are what people are hoping to get for their gun. Like just about any other auction, there’s a starting bid price and in some cases a reserve price. A “Buy Now Available” line tells you if you can just cut to the chase and order the gun at that price. I was rather enthralled when I perused the “Curio & Relic” category and saw all the WWII Lugers, Walthers and Tokarevs for sale. That’s just one of many categories they list. Check this site out – it makes for some good reading, even if you’re not buying or selling a gun! 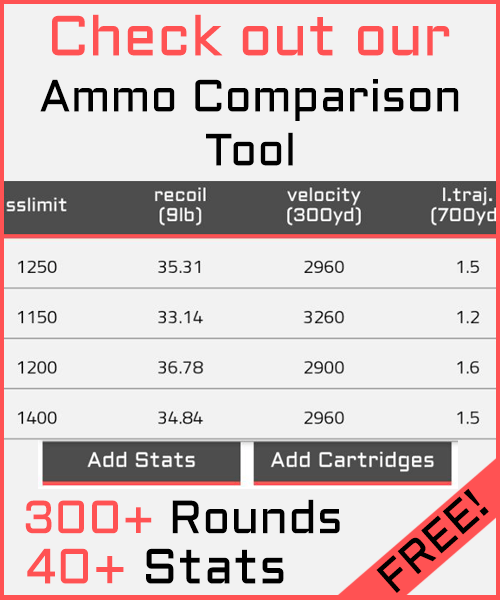 The Firearms Price Guide is one of very few sites that offers a free look-up of prices. I purposely linked above to their opening page which includes several of what I call “start now” ad boxes. Novices to sites such as this may think the box they are clicking on has something to do with finding their guns’ value when it really is taking them to a totally different site that allows you to download, say, an internet speed test tool. PLEASE be aware that these boxes exist and read them carefully. That is one negative about this site…I think it is overly ad-driven. To get to the actual firearms price guide, you can go here. They are more limited in their scope of what they offer – at this point, they can give values on firearms made by the following companies (below). The links listed are live links to those companies. One plus with this site is that you will get an actual price range for a gun in Fair to Very Good Condition. For example, after clicking the “Glock” link below and going about four pages deep, I discovered that I might have sold my Model 30 .45 ACP a little too cheaply. It is listed as being worth $300 (Fair Condition) up to $700 (Very Good Condition). At least this site will give you an idea of what to ask, or what to pay, for a used gun. It even gives a range of dates when the gun was made. This is a useful site but always remember that values given are suggestions. In the above example, I don’t know how they came up with a $700 price for a Glock 30 in Excellent condition when the list price is well over one hundred dollars less than that. But, if you are looking for a starting point in your price search, give this site a try. At least you’ll come away with an idea of what your gun is worth. Wanting to sell your used gun? We’ve looked at several resources that will help you do just that. My advice is to look at as many prices as you can find, both new and used, for your particular gun. More information is better than less. I would probably put together a spreadsheet (I love spreadsheets) with each source and its price(s) for my gun and then take an average of what used prices I find. Factor in your guns’ condition and be honest – don‘t say it’s in N.R.A. 95% condition if it isn’t – and let that help guide your pricing efforts. If you are selling through a local online or other source, think about how far you want to drive to deliver your gun. That must be taken into account as well, not to mention your time. Are you including a holster, extra barrel, other sights, etc. with the gun? Make sure that you have stated clearly what is included and have priced accordingly. The one hard and fast rule is something I stated above – used means just that, used. Do not try to price it like a new gun. We have a local online sales forum that lists all types of stuff, guns being just one of the categories. I am constantly in amazement at the folks who are trying to sell their used gun at a new price. Please be aware that (unless you have something REALLY special or rare), you will in all likelihood not get anything close to what you paid for it back out of it. The sooner you realize that, the sooner you sell your gun-period. Also, if you list your gun on such a forum, include all the information a buyer might need…if it’s a handgun, brand/model/caliber/price/finish/anything wrong with it/everything right with it/any extras included – you get the picture. The one vital piece of information commonly left out of many ads I look at is the price. Really. How can you not include the price in your online or other ad? I don’t know, but it happens. I’ve sold enough guns (and pianos) to have this at least partially figured out. If you don’t put the price in the ad, don’t wonder why you haven’t gotten any response to your ad. If you follow these tips, I can’t guarantee that you’ll sell your used gun quickly, but your odds are increased. Remember a couple of things that you will always do when you compose your ad – first, read it out loud and make sure ALL info is correct, right down to the price and your phone number. Secondly, pretend that you are the prospective buyer reading your ad. Put yourself in his or her shoes. Is the ad written in a professional manner with correct spelling, punctuation and grammar? If you don’t do these things correctly, many people will stop reading at the first example of wrong usage and move to the next ad. Here’s a sample punctuation error that a whole lot of guys make when writing a used gun ad. Do not use an apostrophe after any “s” that means plural, not possessive. Here’s an example: “I’m including 2 holster’s with the gun” – no apostrophe is needed. A correct usage would be something like “the holster’s retaining strap is gone” or something like that. Sorry about the English lesson but I’m only trying to help you write an effective ad – the better and more professional the ad, usually the quicker the sale. You’d be surprised (or maybe not) how many ads are poorly or incorrectly written. Follow these steps and you should generate some interest in selling your gun. Before you write any ad, though, you need to know how much your used gun is worth – what its value is. Hopefully you will have an idea of some places to look now that can help you with that. Good luck, and happy selling! Another well written and helpful article by Mike. As always, buyer be ware. Most sellers tend to overstate the condition, and some are out-right liars. I wish more sellers would heed Mike’s above advice on what to put in an ad, but too often ads are poorly written and omit vital information. Mitch, totally agree. Some makers are definitely better at that than others. Thanks for the comment!